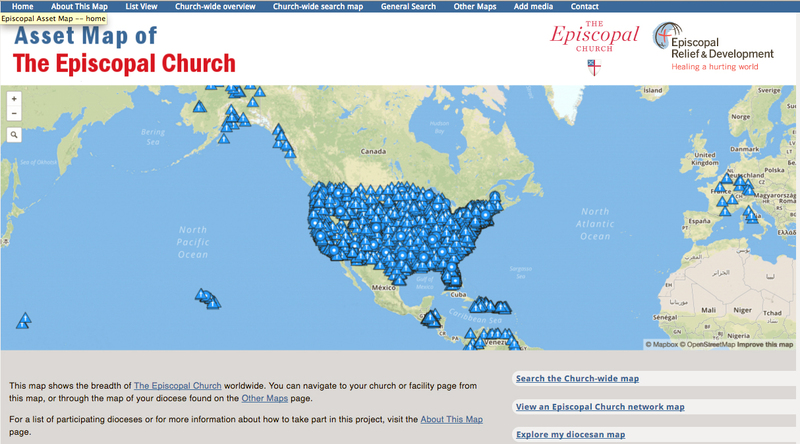 The Episcopal Asset Map, a joint project of Episcopal Relief & Development and The Episcopal Church, is a a visual catalog that highlights the many ways Episcopalians are living Christ’s love in our communities and in the world. Beginning as a pilot in 2012 with the dioceses of Louisiana and New York, the map now encompasses all 50 U.S. states and aims to include the entire Episcopal Church. The Episcopal Church represents an abundance of gifts and this platform looks to highlight and connect these stories into one searchable site. At a glance and in depth, the map shows what the Church’s presence looks like in your area, in both infrastructure and programs. It was designed to support the development of new ministries and partnerships, as well as the mobilization of resources and expertise. For example, in times of disaster, users can use the Asset Map to find churches and other locations that might be at risk and nearby ministries or facilities that could be mobilized to help. This website is different from many others because it is grass-roots populated. That means it takes all of us to tell the story of The Church. 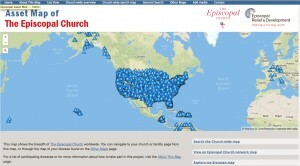 You don’t need a login or special permission to talk about your ministries or worship styles on this site — add your voice by visiting www.episcopalassetmap.org, find your church, tell the story! Learn more by watching this short video of “Sally,” who wants to start a community garden at her church. Follow along with Sally as she searches for help using the map, makes a new friend at a nearby congregation, starts her garden and then updates her church’s page with its new ministry. You may also be interested in reading a blog post from the Episcopal Relief & Development website that says more about the project.